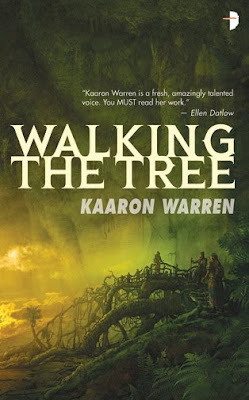 I’m postponing the second part of my review for Kaaron Warren’s Walking the Tree for some reflection on me as a reader and possibly hear your opinions. Personally, I’ve not read the novel nor do I have any idea what’s it about [it was in the commentary under the image that I learned it involved an antagonist nurse]. This novel along with many others to be frank bring instant recognition, when I hear their titles, because I’ve grown up hearing their titles thrown into conversations – I think One Flew over a Cuckoo’s Nest is even the name of a late talk show in Bulgaria, but that was renamed, so I maybe fabricating memories. But as it happens, I know nothing about this book. I think I’ll call this phenomenon a ‘reader’s blind spot’, avoiding the term idiot being used in direct connotation with my name. Truth is that I do know things about Cuckoo’s Nest like for instance how it has been filmed into a successful movie and is one of those novels that simply must be read. Or so say people. I’ve extensive blind spots pretty in pretty much any genre. For instance, I may play along and gag around how GRRM is competing with The Bold & The Beautiful in the category ‘When will it end?’. I can nod my head knowingly at how Jordan used to describe clothes and fabric. I can cheer Jim Butcher for being a force in a largely female dominated genre. How the Left Hand of God was a disaster. But poke me about what goes on inside those and I will shake my head. I think what contributed to building such a false sense of familiarity with hundreds of books I have yet to read is the Internet: online reviews and Twitter. I poke my head in and it’s a storm of name slinging. 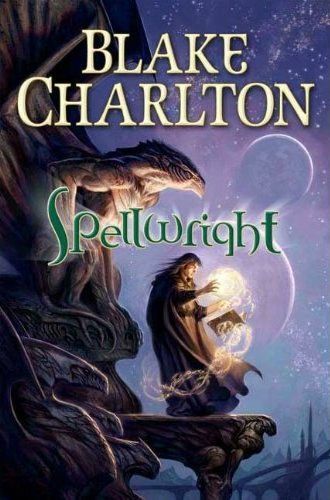 Most of the time things don’t register, but sometimes titles and authors stick without me knowing anything else other than second-hand information, hype [with brand new releases] or nostalgia [I grew up on GRRM; Pratchett introduced me to fantasy, etc.]. I don’t know whether to consider this a ‘serious’ issue that I have to address or warn of, but it is something interesting to ruminate upon. I know my shortcomings [not reading fast enough], so I won’t come off as an idiot in actual conversation [evasive small talk 101: Say ‘indeed’ to stop a person from speaking]. HOWEVER, I’m curious. Has this happened to you? Which are the books you know by reputation only? Newer ones? Older ones? When she comes across the helpless Maury, she attempts to set one thing right. If she can just get him back to his family in Texas then maybe it will bring redemption for some of the terrible things she's done in her past. Because Temple has had to fight to survive, has done things that she's not proud of and, along the road, she's made enemies. I was initially resistant to reading The Reapers Are The Angels because I don't like zombies. There, I've admitted it; the very mention of the undead is enough to put me off any book or film that mentions them. However, I decided to face my prejudice as this book has been highly praised by many of my peers. 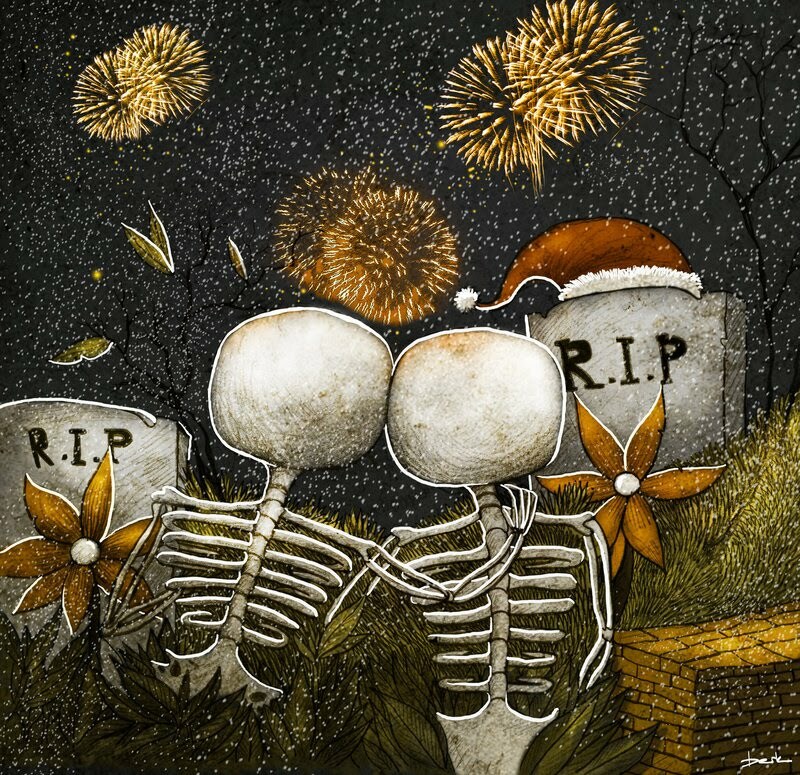 Reading reviews by other bloggers indicated that the undead zombies in Alden Bell's novel are an incidental, background feature rather than the main event and so I settled down with a mug of hot chocolate and started to read. What soon becomes clear is that this is a post-apocalyptic tale centred around Temple, a fifteen-year old girl. She has been born into this world and knows nothing of what came before. Indeed, the events that created this bleak and decaying landscape are not described and, to a certain extent are not relevant either to the story or to Temple's life. We meet her living alone in an abandoned Florida island lighthouse, surviving on what fish she can catch and scavenged plants. When she finds a man washed up on the beach, back broken, jaw missing, yet still squirming and moving in the sand, Temple recognises him as a 'meatskin' or undead and knows her sanctuary is no longer safe. After smashing his head in with a rock, she packs up and leaves for the mainland. This is her life, forever moving on, avoiding the meatskins, also referred to as slugs. Is she heading for some unknown destination or running away from her short past? Within the first two chapters there are many questions about Temple that keep me reading, looking for answers to why a teenage girl is alone in a hostile and dangerous environment. For the most part Temple is travelling alone across southern America, haunted by a past that is hinted at throughout but only fully revealed towards the end of the book. When she meets Maury, she tries to seek her own redemption by helping him get to his family in Texas. But she is also being pursued by the enigmatic Moses Todd, a man intent on killing her in revenge for something she has done. While both of these characters provide the plot structure, The Reapers Are The Angels is more of an exploration of how humanity survives in a destroyed world, using the character of Temple as the focal point. And this is what irritated me... for an illiterate and uneducated girl, Temple had too much knowledge, too much poetic lyricism. Amidst the stark and desolate world she inhabits she finds beauty in unusual places. She is a philosopher of sorts and this did not work for me. Neither did the fact that she was able to find food and drink in deserted service stations and stores that were fit for consumption - how would this be possible after twenty-odd years? "She takes the rest of the box [of peanut butter crackers] and a twenty-four pack of coke, some bottles of water, three tubes of Pringles, a few cans of chilli and soup, and some boxes of macaroni and cheese." There were several similar examples of current society norms throughout the book that jolted me out of the whole post-apocalyptic scenario and undermined the credibility of the book. "She takes one and puts it in her mouth to show him. Mmmm. I ain't had bingberries in I don't know how long . That Albert, he may have been a scoundrel all told, but he knew how to raise himself some crops, didn't he? Go on, eat one." Overall I felt I was being expected to suspend my disbelief just a bit too far and that Temple was almost superhuman in her ability to do what she had to do to survive. Temple was an intriguing character, however, I did not really engage with her and it was only the fact that I had agreed to review this book that kept me reading to the end. 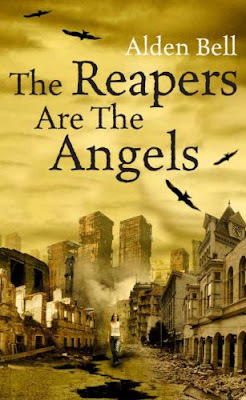 The Reapers Are The Angels has not changed my mind about zombie novels and it is unlikely that I will choose to read another in the near future. It's good to start the new year with a review. I interpret it as a sign of productivity for the whole year. It's also a good thing that I start the year with a review of a non-fiction collection written by none other than Jeff VanderMeer. You can see the whole review [HERE]. In short, Monstrous Creatures by Jeff VanderMeer can be best summarized by the book’s own subtitle. It’s deceiving in its simplicity and forwardness. The reader will read essays, articles and reviews in order to participate in this tour. At 254 pages, Monstrous Creatures doesn’t frighten anyone with its length. On the contrary, it only contributes to the fake sense of immediacy, of reading this book in one sitting. 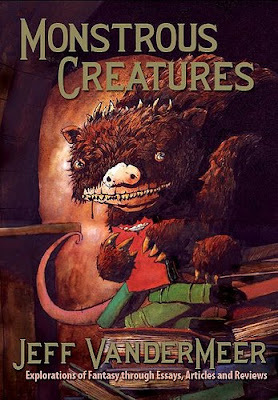 Monstrous Creatures is a beautiful chimera of ideas and opinions. VanderMeer goes for a 360-degree expedition of fantasy in all of its manifestations as well as through significant periods of its evolution. Wherever the fantastical seeps in, be it in books, the act of writing, architecture, art or even nature, VanderMeer follows, documents and then reports with some of the most spectacular and sophisticated turns of phrase I’ve seen in non-fiction. [Twitter Talks] What do you do with your TBR? How often do you read? TBR. To-be-read. An abbreviation that every bibliophile knows. It separates the readers from those foolish mortals that know how to read. If you know what it means, then you probably have a humongous issue with it. It grows and it grows like your waistline during the holidays, but with the only difference you can’t ever stop it from growing. I have a TBR list of about 3,000 titles [most of which I forget, but trust me I’m promiscuous in my reading]. Those ranked in several categories such as ‘I need to read this and write up a review’ or ‘I will kill someone to get this book and rub its cover all night’ or ‘Hey, I bet that no one will sneer at me, if I read this’ or ‘Man, so that is why people go to university for [non-fiction]’. @editormum75 I read lots, and cull out unwanted & unsolicited review books (have to meet both criteria) after a few months. @WendySparrow I read the most while sick... 2 or 3 books a day... and I got a raging respiratory thing that knocked me down for all October. I've also discovered a cool "sample" feature on my Kindle that helps me knock out lame books from my list... so that too. @redhead5318 I usually stare at my TBR pile longingly, get over or underwhelmed, then go to the library. I read at least 1 hr every day. @tea_and_tomes Try to not buy any more books until I cut down on the pile a little. I read just about every day, so if I'm careful, I manage. Unsuccessfully, most days. Sometimes I try to pull off an "out of sight, out of mind" trick where I ignore news of upcoming releases that I want, just so I can keep my focus on the books that I already have. @cjhillrwb Weed it out, stop buying new books until I work it down to something managable. Daily, as much as possible. @TheTillMonkey I was strict with myself this year: http://bit.ly/gdSkRD but also usually have 2 on the go at once: one downstairs, one up. @lecbookreviews I force myself to read them in as close to the same order as I bought them as possible so at least the pile stays 'fresh'. @significance I read about 50 books a year. I read a little most days. The TBR list keeps growing. @Rowena_SW Every time I walk/sit/stand/wait/travel. Literally. @mostlyalurker I read every day. Sometimes for many hours. I'm a slow reader compared to most & enjoy savoring a good story. Quality over quantity. @Marthapao I stress out and stop reading completely for a week or two and then devour every book in sight, forgetting to sleep or eat. @Pallekenl I read almost everyday. And I plan stuff out, my Way Beyond Retro feature is in part an effort to get my TBR-pile slimmed down. @charlesatan Cull your TBR pile into half, then choose 10 books. That's your current TBR pile. @Squirrelpunkd I don't keep track of TBR lists. I just read and then buy fewer, more expensive books. Basically, the idea is to read more. BUT I have one serious enemy. My passion towards TV series. Can you believe that I follow more than 30 titles? No. I can’t either, not until I wrote them down just to make sure I did not miss episodes. How the heck is that possible? On the other hand, I really do think I’m hitting it a bit too hard with 3,000 books on my own wish list, so I will have to cut down on that. Well, the ball is in your side of the playground [we are playing Dodgeball]. What do you do when facing your TBR [do you cull it?] and how often do you read? I have pretty much announced this on Twitter, but I might as well make this official here. Right before Christmas, Santa made the best gift ever. I'm an intern at the Apex Book Company imprint The Zombie Feed. I'm excited, because I love the publishing industry. I want to interact with it on every single level. Review-blogging has allowed me to interact with publishers to a degree, but now I have the chance to go very behind the scene. It's thrilling to be honest and so far I think it's something that I can do without scratching my head. I'm on the other side, guys. I'm there. Anyway, in the name of full disclosure, I'm saying that when information about The Zombie Feed or Apex Books pops up, this is me doing my bit as an intern. I don't plan on going promo whore on the blog, so you never have to fret about that. To avoid attacks on my integrity, I also won't be reviewing anything from The Zombie Feed or Apex Books. I believe in separating myself as a reviewer from myself as an intern. I know I'm late to the party and that there has been support for Ekaterina Sedia, but I don't think one more would hurt now would it. 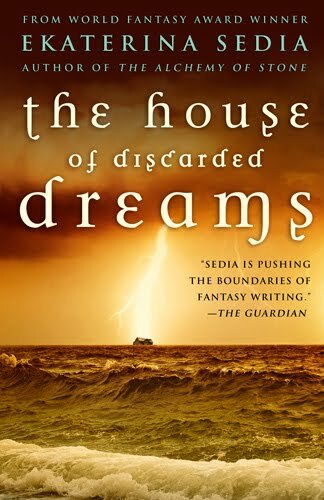 Despite the good reviews, The House of Discarded Dreams has not been fairing well out on the field and this is where you come in, dear reader. Help Ekaterina Sedia. Buy the book and show that a book like hers can find its place in today's market. For whatever reason, it doesn’t seem to get as much traction as my previous books, despite many positive reviews. So I’m asking you to help if you’re so inclined. Link to this post, or point it out to people who might enjoy a book with horseshoe crab biology and based on immigrant experience, a book with a non-white protagonist and drawing from a culture rarely seen in fantasy. If you read it, please consider posting a review at Amazon or elsewhere. I know there are readers for this book — please help them find it! I will make sure to buy my copy once I visit the might UK, but this is a novel that I want to see more often. A novel that doesn't set any immediate inbred and bundled-up expectations. It's different. It's mighty. I would like to introduce my pick for Best Book of 2010. The Technician is about an intriguing alien mystery explored through the life of a few colorful characters. It is also a return to old familiar premises on the planet Masada for us old Asher fans. Visiting Masada again for me was a bit like coming home and I got to enjoy some of the characters from previous books (You can read my review of them, links are below. The Line of the Polity is the one with most Masada in it). As usual with Neal's books this one also has an intriguing and well developed back story that tightly fits together with what happened before. I can understand why he went back to Masada. It is such a wonderful quirky place with its weird ecology. 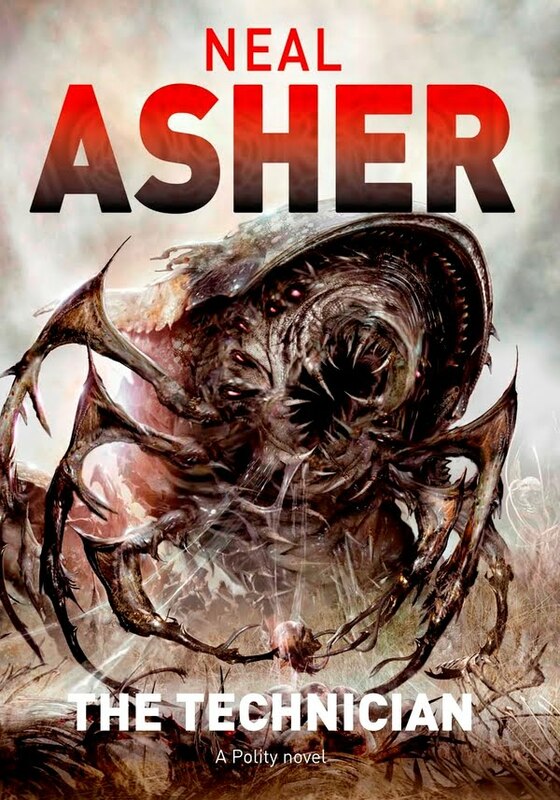 There are huge Hooder predators that can swallow a man or a minor car and Gabbleducks (the novel is based on a short story about them) walking around copying human talk but not making any sense; the whole world is wrapped in the mystery of a disappeared alien civilization called the Atheter. On top of this an oppressive theocracy was toppled by rebellion a few decades ago facilitated by the mysterious Dragon's destruction of their orbital lasers. The Dragon was the mysterious being behind much of the intrigue in the Cormac series but it only figures here through its descendants the Dracomen created when the Dragons crashed on the planet. One of my favorite characters Amistad the war drone from Shadow of the Scorpion is back in charge of Atheter research as events set in motion by the Dragon once again threatens humanity. With him we get to follow a bit of personal growth and development, AI style. I might be the only one but I thought it was hilarious when Blue, the only colored Dracowoman was introduced, I immediately thought; Neal your rascal, you sneaked in a Na'vi on us. The next explanation that came to mind was the blue pill from Matrix in reverse. 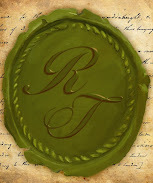 The plot centers on Jeremiah Tombs of the original religious leadership and his journey back to sanity. A theme Neal also used successfully with Mr Crane/The Brass Man. 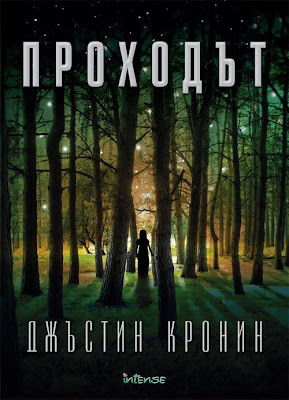 Tombs is not the only point of view or main character in this novel but I enjoyed him most because he changes the most. The characters are well developed with much more 'meat' than in his early novels something I as a character person like and appreciate. The Dragon's hidden agenda goes like a chain from Grindlinked to this one. That is a nice touch even if there is not much Dragon action in this one. It is more like a heritage. The Technician is no doubt one of the best new novels I have read this year. 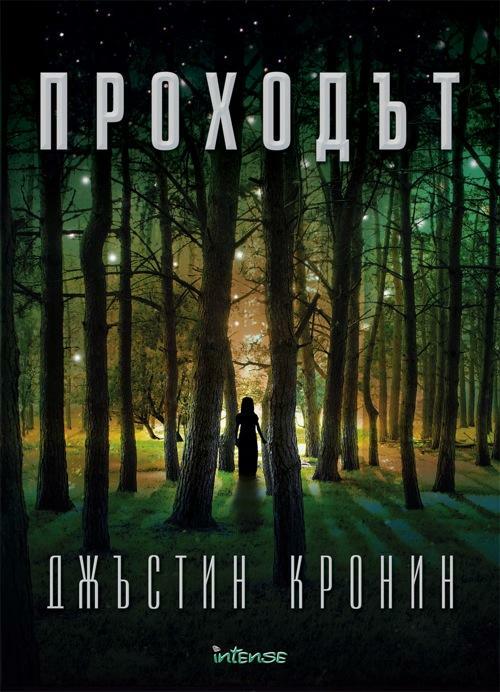 It got a fantastic inner journey with fast-paced alien-world action. I am in awe of Neal Asher for this amazing feat of original writing. If you haven't read Neal before you might as well start with this one, you will not be sorry but you will get a bit more out of it if you read the Cormac novels first. Maybe I should add that Mr Asher is very fond of gigantic insects and might get a bit graphic in his descriptions. The Theocracy has been dead for twenty years, and the Polity rules on Masada. But the Tidy Squad consists of rebels who cannot accept the new order. Their hate for surviving theocrats is undiminished, and the iconic Jeremiah Tombs is at the top of their hitlist. Escaping his sanatorium Tombs is pushed into painful confrontation with reality he has avoided since the rebellion. His insanity has been left uncured, because the near mythical hooder called the Technician that attacked him all those years ago, did something to his mind even the AIs fail to understand. Tombs might possess information about the suicide of an entire alien race. The war drone Amistad, whose job it is to bring this information to light, recruits Lief Grant, an ex-rebel Commander, to protect Tombs, along with the black AI Penny Royal, who everyone thought was dead. The amphidapt Chanter, who has studied the bone sculptures the Technician makes with the remains of its prey, might be useful too. Meanwhile, in deep space, the mechanism the Atheter used to reduce themselves to animals, stirs from slumber and begins to power-up its weapons. Happy New Year, beloved you guys! I plan not to do a flashback post. Let's face it, 2010 sucked on a personal level and this reflected on what I did on this blog. Sure, I read some amazing books, but the same time I suffered through a severe burnout. 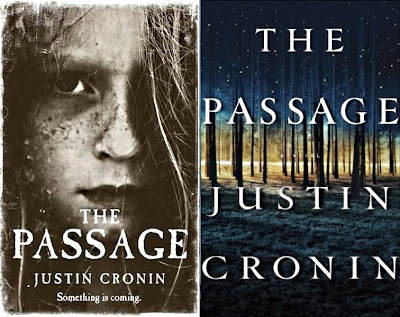 Here I'd like to thank Cara Murphy and Ove Jansson for keeping the blog from completely dying and supplying stellar reviews. Temple Library Reviews would have crashed and burned otherwise. Okay, no more reflection. Let's skip to the goals. 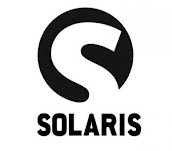 The goal is to read more mediums, more genres, more publishing houses and imprints. It's time to enter more diversity in what I handle. I do hope I can fit some non-fiction that is far from the speculative genre. I'm not saying that I want to read more as that's a given. I'll be reviewing for a lot of places. Maintaining a relaxed and regular posting. Not pushing myself more than I can handle. It's a very hilarious goal since I think I've taken more than I can carry. I do hope that after my exam session I can sit down and do some much needed maintenance on the blog and add some blogs to the roll, links and banners. Maintain a journal about what I read. I want to be organized. I managed this last year, but only until May, when I started my job and then all went to hell. Oh, yeah, and I so hope that I do not miss deadlines. Bah, that would be hell. So these are my goals. What are yours?